As you all know, I’m trying to be a more daring baker, so here’s another attempt. Our hostess this month, Chris of Mele Cotte, chose to challenge us with: Filbert Gateau with Praline Buttercream. I’m glad I’m not the only one who had the problem finding hazelnuts. The only hazelnut I saw at our local grocery store was hazelnut flavored coffee. I went to another store and they just happened to have some chopped hazelnuts, so I went ahead and got those in case I can’t find whole ones. I’m glad I did because I never did find whole hazelnuts and I was afraid to grind the chopped ones for the cake part because they still had their skins on and I wasn’t sure if that was going to make the cake bitter. Instead, I did what someone else suggested on the Daring Baker forum, which was to use the leftover almond meal from last month’s Opera Cake challenge. So without further ado, here is the recipe for this month. [I’ve noted my comments and changes to the recipe in brackets] I had intentions of photographing each step, but some of the steps required speed and attention so I didn’t have time to photograph every step. I was also cooking dinner while baking the cake, so it got pretty confusing in the kitchen. My cake decorating skills are nil, let me say that off the bat. I also didn’t have the right size decorating tip required, so I made do with what I had. I couldn’t use my tiny leaf tip because the nuts kept stopping it up so I switched to the biggest star tip I had. It still got stopped up with nuts and I had to stop in between to pick the nut out of the tip with a toothpick. Anyway, along with my sucky decorating skills and fast melting buttercream, I think it came out pretty nice. I love the chocolate glaze on top, it made it look so smooth and professional looking. lol! Position rack in the lower 3rd of the oven and preheat to 350 degrees. Grease and flour a 10” X 2” inch round cake pan. Place egg whites in a large, clean bowl of the electric mixer with the whisk attachment and beat on medium speed, until soft peaks. Increase to med-high speed and slowly add the remaining ¼ cup of sugar, over 15-20 seconds or so. Continue to beat for another ½ minute. Add the yolk mixture to the whites and whisk for 1 minute. Pour the warm butter in a liquid measure cup (or a spouted container). Put the nut meal in a mesh strainer (or use your hand – working quickly) and sprinkle it in about 2 tablespoons at a time – folding it carefully for about 40 folds. Be sure to exclude any large chunks/pieces of nuts. Again, work quickly and carefully as to not deflate the mixture. When all but about 2 Tbsp. of nut meal remain, quickly and steadily pour the warm butter over the batter. Then, with the remaining nut meal, fold the batter to incorporate, about 13 or so folds. With a rubber spatula, transfer the batter into the prepared pan, smoothing the surface with the spatula or back of a spoon. 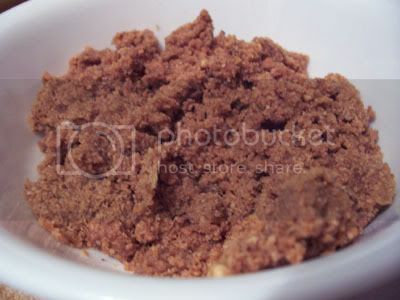 **If collected butter remains at the bottom of the bowl, do not add it to the batter! It will impede the cake rising while baking. Tap the pan on the counter to remove air bubbles and bake in the preheated oven for 30-35 minutes. You’ll know the cake is done when it is springy to the touch and it separates itself from the side of the pan. Remove from oven and allow to stand for 5 minutes. Invert onto a cake rack sprayed with nonstick coating, removing the pan. Cool the cake completely. In a small, yet heavy saucepan, bring the water and sugar to a boil and simmer for 5 minutes. Remove from heat, add the liqueur. Cool slightly before using on the cake. *Can be made in advance. Place the egg whites in a lg/ bowl of a electric mixer and beat with the whisk attachment until the whites are foamy and they begin to thicken (just before the soft peak stage). Set the bowl over a saucepan filled with about 2 inches of simmering water, making sure the bowl is not touching the water. Then, whisk in the sugar by adding 1-2 tablespoon of sugar at a time over a minutes time. Continue beating 2-3 minutes or until the whites are warm (about 120 degrees) and the sugar is dissolved. The mixture should look thick and like whipped marshmallows. Remove from pan and with either the paddle or whisk attachment, beat the egg whites and sugar on med-high until its a thick, cool meringue – about 5-7 minutes. *Do not over beat*. Set aside. On med-low speed, blend the meringue into the butter, about 1-2 Tbsp. at a time, over 1 minute. Add the liqueur and vanilla and mix for 30-45 seconds longer, until thick and creamy. Refrigerate 10-15 minutes before using. Wait! My buttercream won’t come together! Reheat the buttercream briefly over simmering water for about 5 seconds, stirring with a wooden spoon. Be careful and do not overbeat. The mixture will look broken with some liquid at the bottom of the bowl. Return the bowl to the mixer and whip on medium speed just until the cream comes back together. Wait! My buttercream is too soft! Chill the buttercream in the refrigerator for about 10 minutes and rewhip. If that doesn’t work, cream an additional 2-4 Tbsp. of butter in a small bowl– making sure the butter is not as soft as the original amount, so make sure is cool and smooth. On low speed, quickly add the creamed butter to the buttercream, 1 Tbsp. at a time. Line a jelly roll pan with parchment and lightly butter. Put the sugar in a heavy 10-inch skillet. Heat on low flame for about 10-20 min until the sugar melts around the edges. Do not stir the sugar. Swirl the pan if necessary to prevent the melted sugar from burning. Brush the sides of the pan with water to remove sugar crystals. If the sugar in the center does not melt, stir briefly. When the sugar is completely melted and caramel in color, remove from heat. Stir in the nuts with a wooden spoon and separate the clusters. Return to low heat and stir to coat the nuts on all sides. Cook until the mixture starts to bubble. **Remember – extremely hot mixture. ** Then onto the parchment lined sheet and spread as evenly as possible. As it cools, it will harden into brittle. 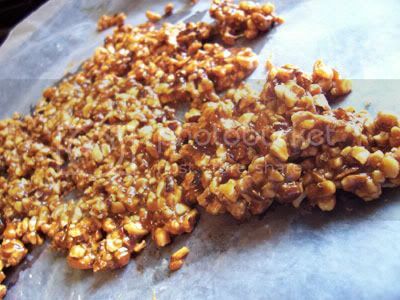 Break the candied nuts into pieces and place them in the food processor. Pulse into a medium-fine crunch or process until the brittle turns into a powder. To make paste, process for several minutes. Store in an airtight container and store in a cook dry place. Do not refrigerate. In a small, yet heavy saucepan, bring the water and preserves to a slow boil and simmer for 2-3 minutes. If the mixture begins to stick to the bottom of the saucepan, add water as needed. Remove from heat and, using a strainer, press the mixture through the mesh and discard any remnants. With a pastry brush, apply the glaze onto the cake while the cake is still warm. If the glaze is too thick, thin to a preferred consistency with drops of water. **Ganache can take on many forms. While warm – great fudge sauce. While cool or lukewarm – semisweet glaze. Slightly chilled – can be whipped into a filling/frosting. Cold & solid – the base of candied chocolate truffles. Blend vanilla and liqueur/rum together and set aside. Break the chocolate into 1-inch pieces and place in the basket of a food processor and pulse until finely chopped. Transfer into a medium sized bowl and set aside. Heat the cream and corn syrup in a saucepan, on low, until it reached a gentle boil. Once to the gently boil, immediately and carefully pour over the chocolate. Leave it alone for one minute, then slowly stir and mix the chocolate and cream together until the chocolate is melted and incorporated into the cream. Carefully blend in vanilla mixture. If the surface seems oily, add ½ – 1 tsp hot water. The glaze will thicken, but should still be pourable. If it doesn’t thicken, refrigerate for about 5 minutes, but make sure it doesn’t get too cold! Measure out 1 cup of praline buttercream and set aside. Cut a cardboard disk slightly smaller than the cake. 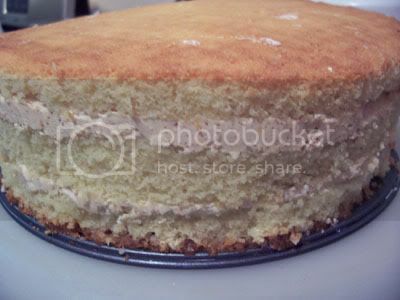 Divide the cake into 3 layers and place the first layer top-side down on the disk. Using a pastry brush, moisten the layer with 3-4 Tbsp. of warm sugar syrup. Spread the bottom layer with a ¼-inch thickness of the remaining buttercream. Cover with ½ of the whipped cream, leaving ¼-inch border around the edge of the cake. Place the middle layer over the first, brush with sugar syrup, spreading with buttercream. Cover with the remaining whipped cream. Moisten the cut side of the third layer with additional sugar syrup and place cut side down on the cake. 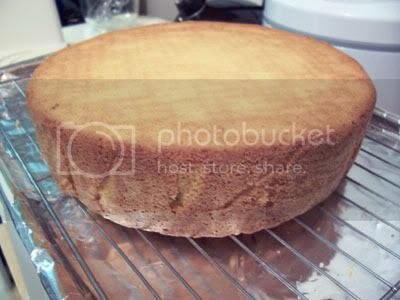 Gently, press the sides of the cake to align the layers. Refrigerate to chill for at least 30 minutes. Lift the cake by sliding your palm under the cardboard. 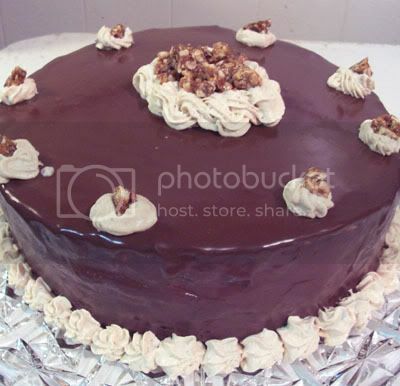 Holding a serrated or very sharp night with an 8-ich blade held parallel to the sides of the cake, trim the sides so that they are perfectly straight. Cut a slight bevel at the top to help the glaze drip over the edge. 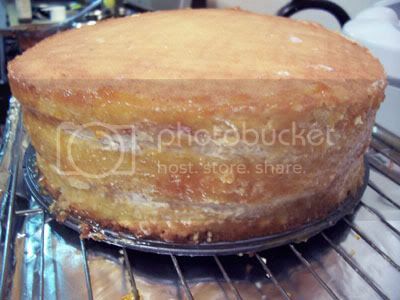 Brush the top and sides of the cake with warm apricot glaze, sealing the cut areas completely. Chill while you prepare the ganache. Place a rack over a large shallow pan to catch the ganache drippings. Remove the gateau from the refrigerator and put it the rack. With a metal spatula in hand, and holding the saucepan about 10 inches above the cake, pour the ganache onto the cake’s center. Move the spatula over the top of the ganache about 4 times to get a smooth and mirror-like appearance. 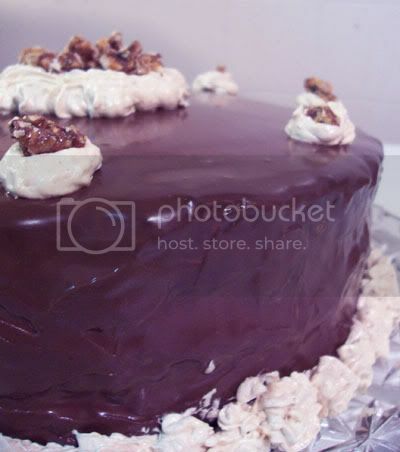 The ganache should cover the top and run down the sides of the cake. When the ganache has been poured and is coating the cake, lift one side of the rack and bang it once on the counter to help spread the ganache evenly and break any air bubbles. (Work fast before setting starts.) Patch any bare spots on the sides with a smaller spatula, but do not touch the top after the “bang”. Let the cake stand at least 15 minutes to set after glazing. To garnish the cake, fit a 12 – 14-inch pastry bag with a #114 large leaf tip. Fill the bag with the reserved praline cream. Stating ½ inch from the outer edge of the cake, position the pastry tube at a 90 degree angle with the top almost touching the top of the cake. Apply pressure to the pastry bag, moving it slightly toward the center of the cake. As the buttercream flows on the cake, reverse the movement backward toward the edge of the cake and finish by pulling the bag again to the center. Stop applying pressure and press the bag downward, then quickly pull the tip up to break the flow of frosting. Repeat, making 12 leaves evenly spaced around the surface of the cake. Make a second row of leaves on the top of the first row, moving the pastry bag about ¾ inch closer to the center. The leaves should overlap. Make a 3rd row, moving closer and closer to the center. Add a 4th row if you have the room. But, leave a 2-inch space in the center for a chopped filbert garnish. Refrigerate uncovered for 3-4 hours to allow the cake to set. Remove the cake from the refrigerator at least 3 hours before serving. I may update this post later with a photo of the cut cake. Since I didn’t finish baking until 2 a.m., I haven’t tasted it yet. I’ll save it for tonight, while I’m browsing through all the other Daring Bakers posts. This was tiring, but fun. Thanks again Chris for hosting this month’s Daring Bakers Challenge. I always have a ‘…’ moment when I read the Daring Baker ingredients lists, haha. Glad to see I’m not the only one! This is gorgeous, by the way. Mmm, your cake looks wonderful!! Hey, thanks for your comment on my post. Unfortunately, I did post what I had which was only the base recipe! You had me at “apricot glaze”. Yum. It looks soooo complicated to make but sooo easy to eat. 😀 Thanks for my birthday cake slice! Love the chocolate glaze too! Nice job, your cake looks sooo good! I have been looking at many of the DB posts this month and yours is probably one of the prettiest I have run across JMom. I found hazelnuts at the first grocery store I went to, but then again I went to whole food instead of the regular grocery store just for that purpose… your finished cake looks great. Great job! It looks amazing, and the rise of your genoise is lovely! ok, first of all, thank you for having a spam-catching word that i can actually read and recognize! second of all, about hazelnut skins, i don’t think they would make your cake bitter, just a little darker. i accidentally used skin-on almonds in my Opera Cake and it was delicious, although the cake itself was darker than everyone else’s. so if you want to give this recipe another try and you have leftover hazelnuts with skin, go for it! 🙂 your cake looks great though! I think your cake looks great. I was another db who was up to the wee hours. Congratulations on a cake well baked! Plus I think your decorating skills are just fine, it looks very pretty. Your cake looks lovely. Great job! You did a great job with that ganache icing. It looks like you might have known to smooth the sides with buttercream – I didn’t think to do that. your cake looks great! i like how you mentioned that if you break down the steps, the challenge is more manageable. great advice! It looks terrific, and I hope it was enjoyed. You probably worked on the posting as long as you did on the cake! Very nice! Hazelnuts are hard to find. We luckily have an Italian store near by which is where I went. I shelled them. But for me it was worth the effort. I hate that they are so expensive everywehre. You did a great job on your cake. magnificent looking gateau, well done! WOW…you cake is so even you can hardly tell it’s a layer cake!